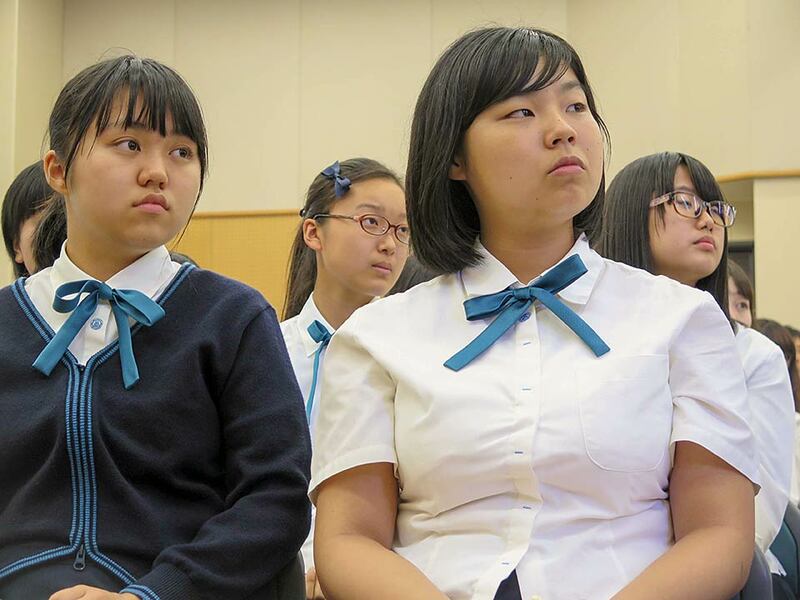 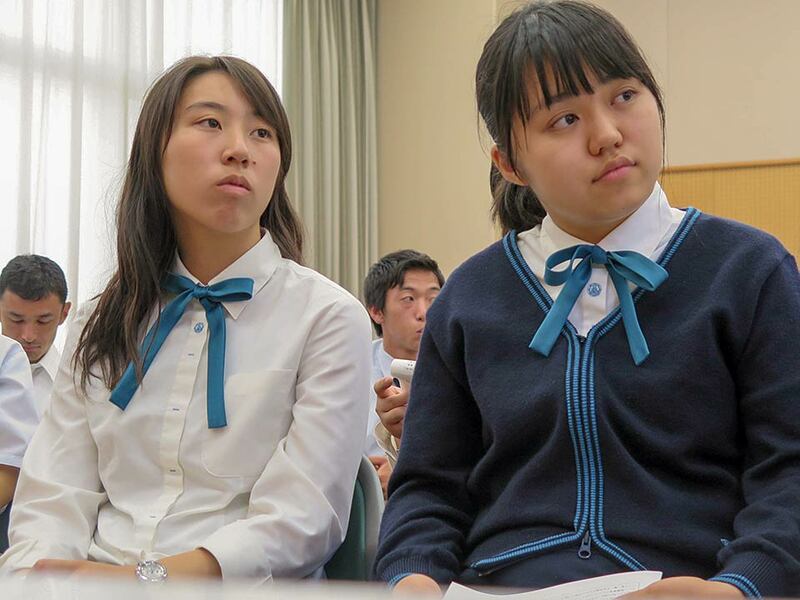 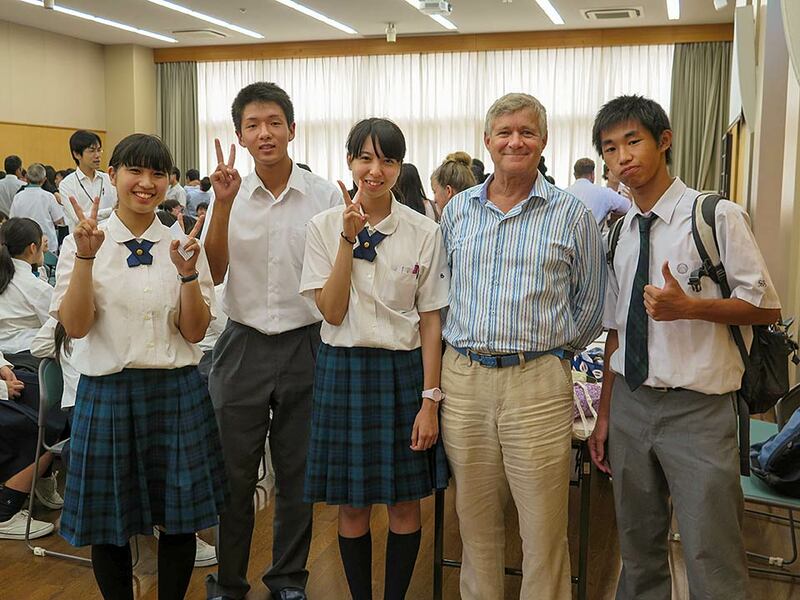 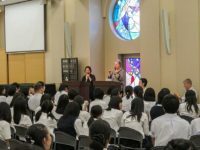 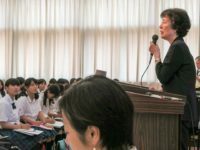 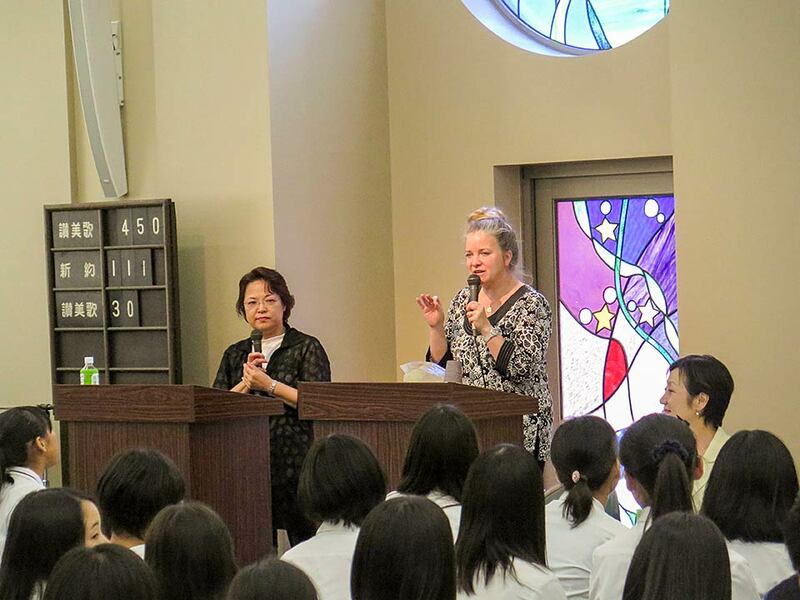 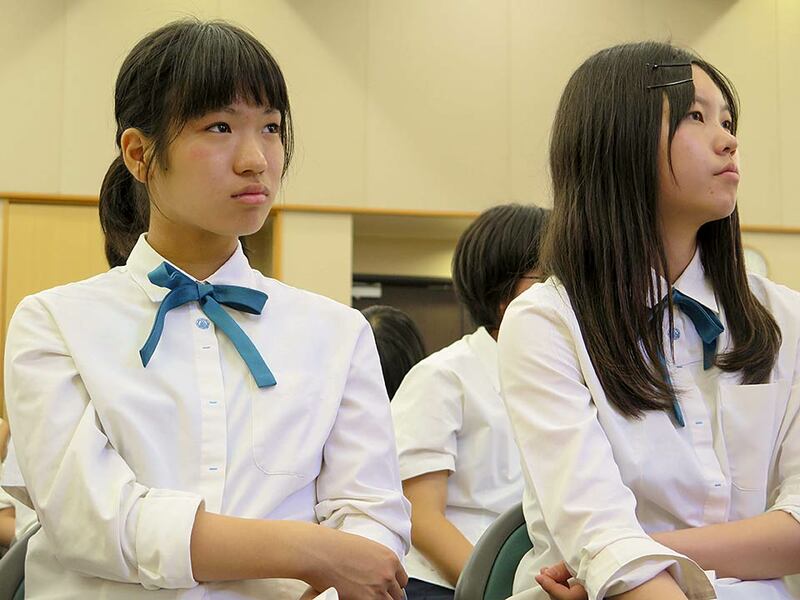 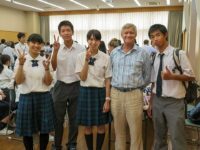 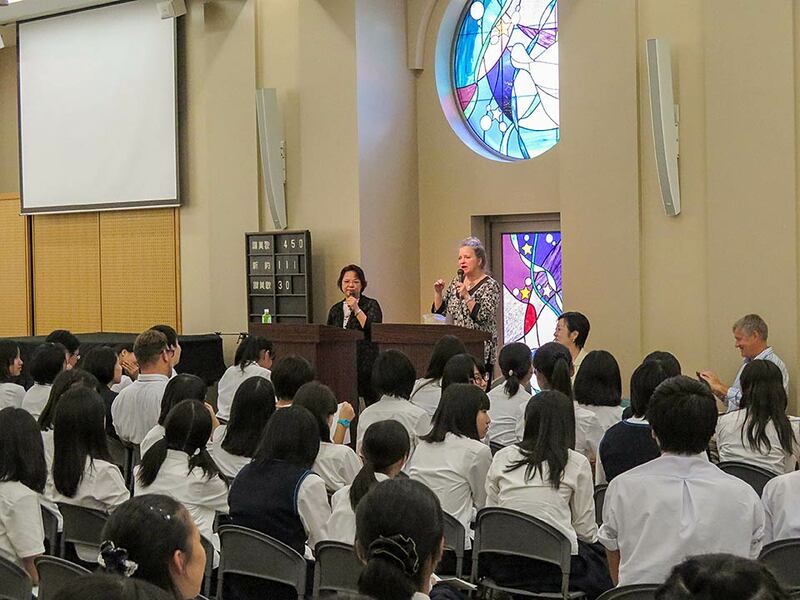 On August 6, 2015, the 70th anniversary of the bombing of Hiroshima, Kathleen Sullivan, Robert Croonquist and Reiko Yamada visited Hiroshima Jogakuin High School, the school where Reiko was attending when the bomb was dropped in 1945, killing many of her classmates. 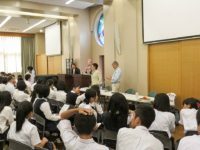 We presented a disarmament education program for 200 students from six schools from around Japan and the Punahou School of Hawaii. 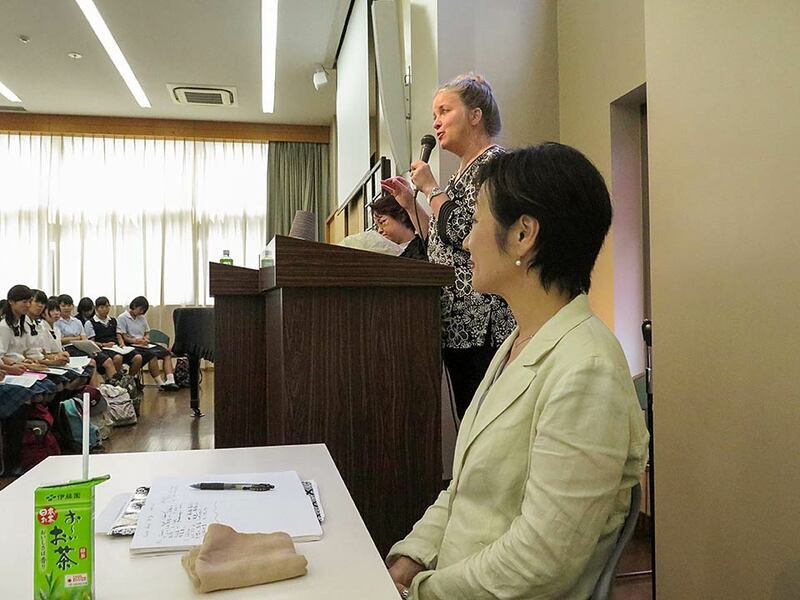 It was part of a visit by 10 of the Youth Arts team, all of whom paid our own expenses, to Hiroshima and Nagasaki where we were honored guests at both memorial ceremonies and honored for our work by Nagasaki Mayor Tomihisa Taue and Hiroshima Mayor Kazumi Matsui.